How to Hard-Boil Eggs: Best Way Is To Steam Them! The Shells Will Just Slip Off!! Cut the hard boiled eggs in half and remove the yolks from the egg halves, and place them in a small bowl. Mash the yolks with a fork until fine and crumbly. Mix in the scallions, grainy mustard, lime juice, smoked paprika, salt and mayonnaise. Place the mixture in a pastry bag and pipe the filling into each egg white half. 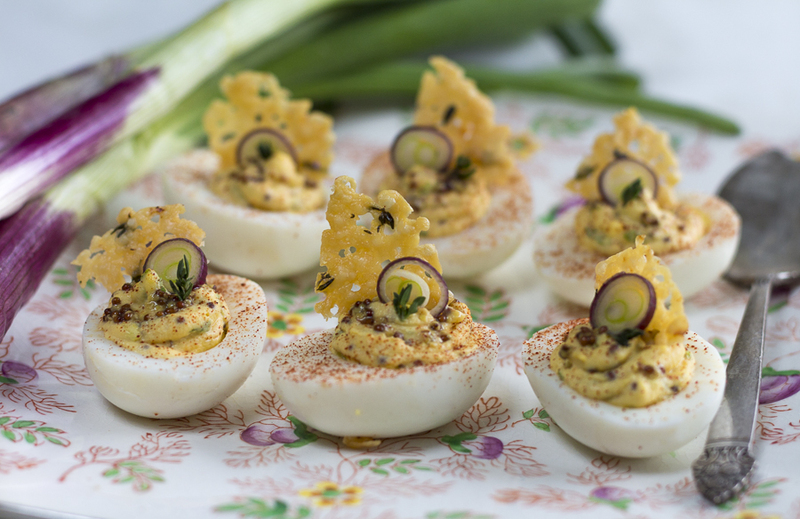 Garnish each egg with a thin slices of purple scallion, and a few fresh thyme leaves. 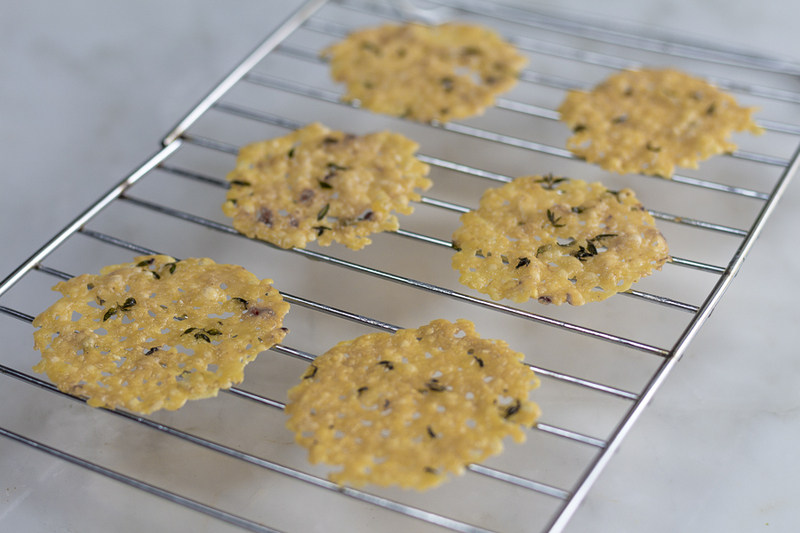 Grate the cheese, place 1 T. mounds on the parchment, leave 2″ space between them. Top with the thyme leaves. Bake in the oven until crisp, spread and just lightly golden, about 5 – 7 minutes. Remove them to a wire rack and cool. Cut the Frico into halves or quarters, and garnish the deviled eggs. * Very fresh eggs can be difficult to peel. The egg white also shrinks as the egg ages, allowing more air between the egg and the shell. Use eggs that are 5 – 7 days old.